A fundraising event is being held in Donnybrook in Dublin this weekend. 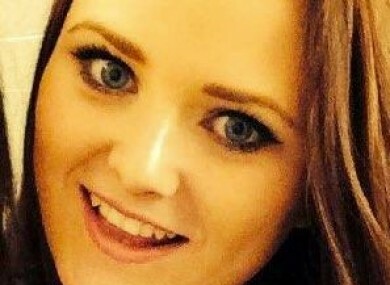 BERKELEY TRAGEDY VICTIM Aoife Beary is said to be showing signs of improvement as friends and family here in Ireland are organising a fundraising event this weekend to contribute towards her care back in the US. Speaking to DriveBy on 2fm yesterday the student’s cousin Eimear O’Doherty said she has just returned from visiting Aoife. You want to think she recognised you and I think she did but it’s hard to say. No one can say the extent of her brain injury as it is so that’s kind of a waiting game I suppose. O’Doherty said her aunt and uncle are doing well and she travelled over with Aoife’s younger brother and sister who will now stay with their parents until the end of the summer. “It’s unbelievable how strong they are,” she said yesterday. Though she said it was very difficult to leave her cousin’s bed side and return home to Ireland, she hopes now to be able to help her family from here with the ‘fun-raiser’ tag rugby event this weekend. The tag rugby tournament is taking place in Donnybrook Stadium this Saturday from 11am and the event runs until 6pm. As well as the tournament itself there will be a barbecue, kids entertainment, all day music and a raffle. A minute’s silence was also held last night ahead of the International Champions Cup match between Manchester United and San Jose Earthquakes in California in recognition of those who were killed or injured in the balcony collapse. Email “'She has good and bad days' - Berkeley victim's cousin says she faces long road to recovery”. Feedback on “'She has good and bad days' - Berkeley victim's cousin says she faces long road to recovery”.